Buying College Books books online is damn easy with Flipkart’s newly launched “College Text & Reference” section. Find your desired book just by select your college or university; whether it’s Jadavpur University, IIT, Medical, Engineering or Delhi University. 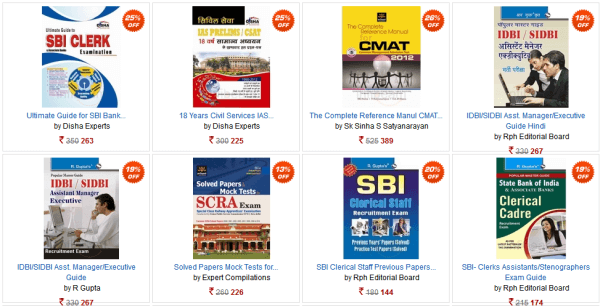 If you are preparing for competitive exams then at Infibeam there are wide range of competitive exam books that will let you crack the Bank Exam, GATE, CAT and other with ease. Preparing for competitive examinations can really wear you out, and having to shopping for books can add to the burden. How about getting the best competitive exam books at once? The Infibeam showcase below helps you achieve just that.